Our first stop after clearing immigration was the Virgin Atlantic Revivals lounge. It's amazing what a shower and fresh change of clothes can do for a person after a long-haul flight. Since time was of the essence, my plan was to make a bee-line for the River Thames. We got two roundtrip tickets on the Heathrow Express and made a short connection on the Tube at Paddington Station. The entire trip took us about 55 minutes, just a tad bit behind what Google Maps had projected. Once Elizabeth and I made it to the Thames we we began our walk at Westminster Palace and continued along the South bank until we made it to Tower Bridge. I was a little bummed to see that the clock tower, AKA Big Ben, was under construction. It was completely wrapped in scaffolding so you couldn't even see the clock. I'm not sure how long its supposed to last, but if you have plans to visit London soon you may want to check that out. Along the way we grabbed your typical London photos. 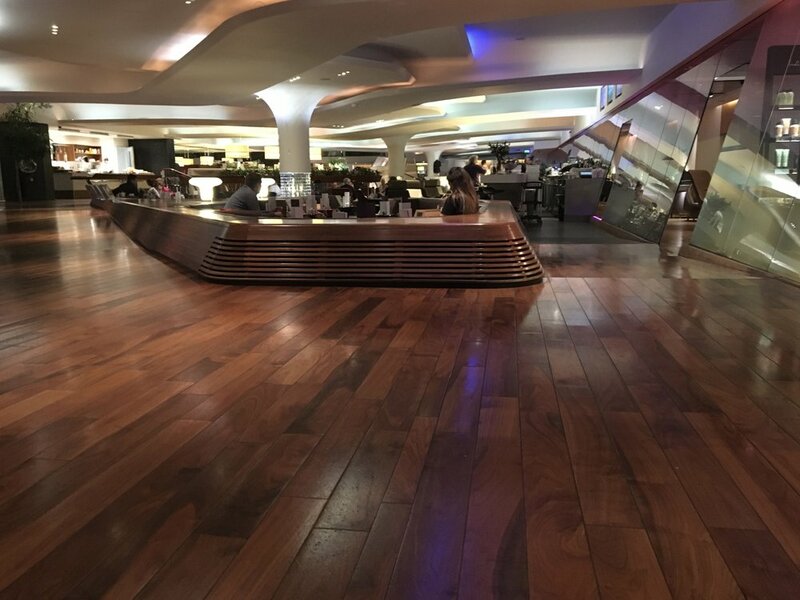 Since we wanted to spend some quality time at the Virgin Atlantic Clubhouse before our flight we started our journey back to the airport about four hours before our scheduled departure time. The Virgin Atlantic Clubhouse at London Heathrow is hands down one of the nicest lounges in the world. Elizabeth and I enjoyed complimentary head and shoulder messages, ordered some food from their al-a-carte menu and had a couple glasses of wine. We spent the last hour at their bar trying all of their signature cocktails. Let's just say I had a slight buzz when I boarded the plane. Our 10 hour stay in London was perfect. It was just enough time to get downtown, see the major sites, stretch our legs and get back in time to enjoy the Virgin Atlantic Clubhouse. I love London and can't wait to get back again soon! What's your favorite thing to do on a short trip to London?